for you to choose from. All made of high-quality components that are only worthy of being with the best! 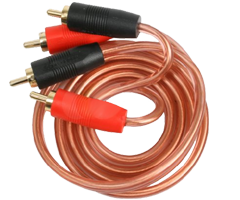 With twisted pair technology, split-tip center, co-axial design, and gold-plated ends, these Sound Quest 3 Ft RCA Interconnect Cables are guaranteed to optimize your car audio system and be hooked up in no time!